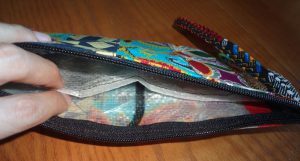 Look at the lovely wallets in the photo! My mom bought them in Liberia. 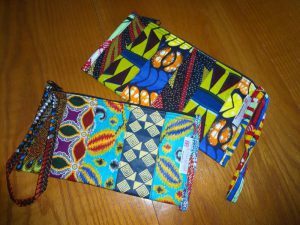 While she was working in Liberia, she sometimes visited a shop which was run by a women’s group making bags and accessories with traditional West African designs. The outer part is made of cloth, but what do you think the inner part is made of? Let’s unzip one of them and I’ll show you! Look! You can see something white which looks like nylon, but what do you think that nylon sheet is? Looking closer inside, you can read “INDIA RICE.” The nylon sheet used to be a rice sack! 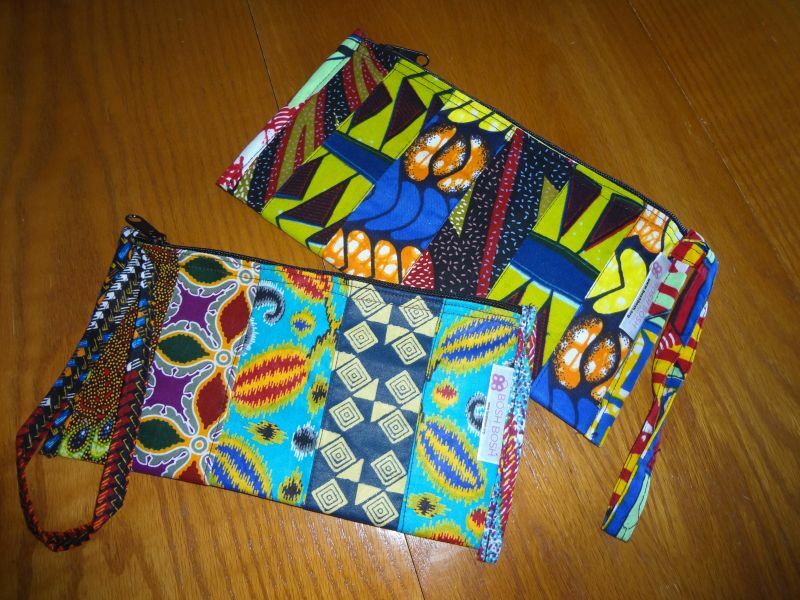 Liberian women recycled or UP-cycled it into the inner cloth, and it separates the inside of the wallet. Amazing! How creative they are! 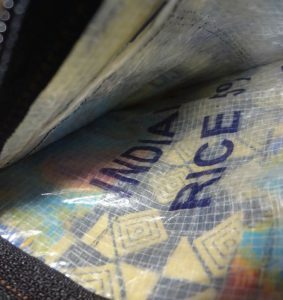 In the other wallet, a yellow rice sack is used. In Liberia, the staple food is rice. Liberians eat plenty of rice every day. Farmers grow rice, but it is not enough for all the people. 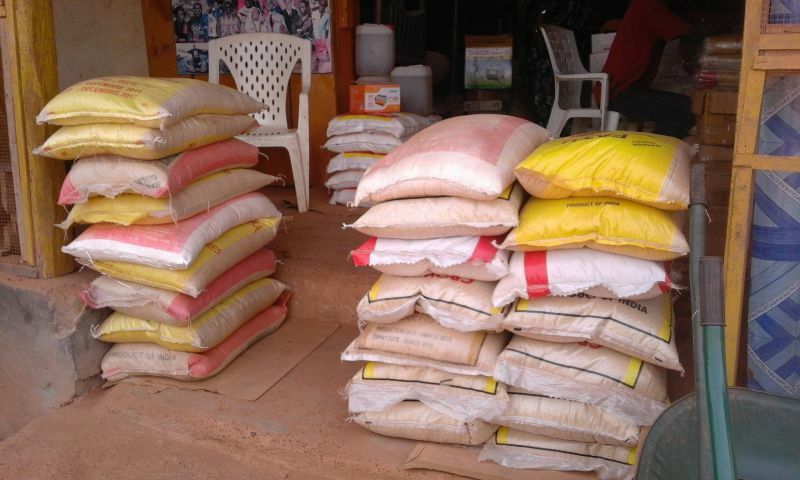 Consequently, Liberia imports a large amount of rice from other countries, such as India and the U.S.
Look at the yellow rice sack below. You can see French on it. 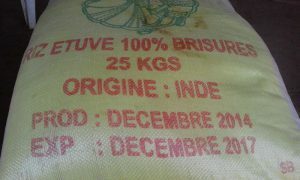 It says, “ORIGINE INDIE (in French),” which means in English that the rice was produced in India. 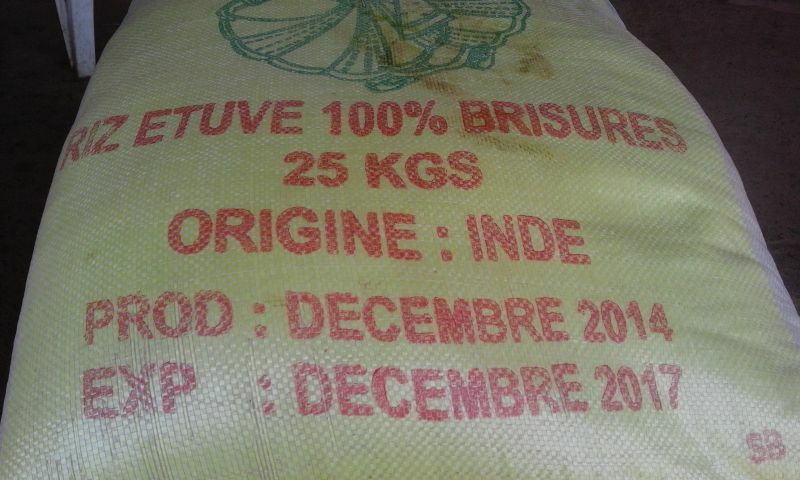 This rice came all the way from India to Liberia via a Francophone country. Wow! The rice’s travel ended in Liberia, but the rice sack’s travel continued on to reach Japan (as my mom is Japanese). I would like to spread the news of the UP-cycled rice sack’s travels worldwide by posting this article on the EEN website. Be Empowered with Available Resources. Let’s BEAR!